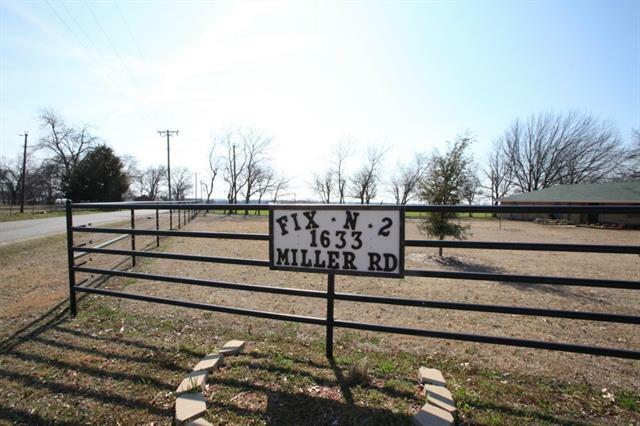 All Melissa homes currently listed for sale in Melissa as of 04/19/2019 are shown below. You can change the search criteria at any time by pressing the 'Change Search' button below. 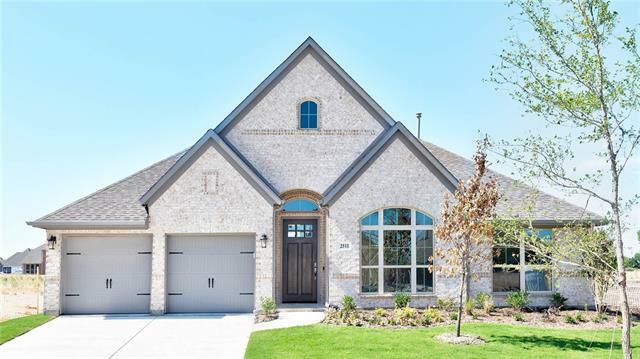 If you have any questions or you would like more information about any Melissa homes for sale or other Melissa real estate, please contact us and one of our knowledgeable Melissa REALTORS® would be pleased to assist you. 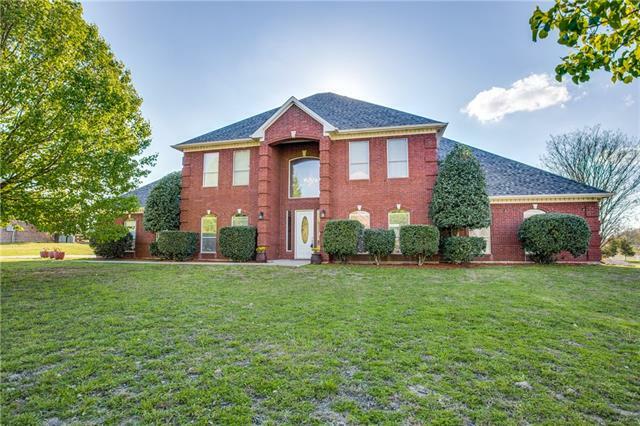 "This stunning 5 bedroom, 3 and a half bath, 2 story Texas Colonial with bay windows is surrounded by walls of towering trees. 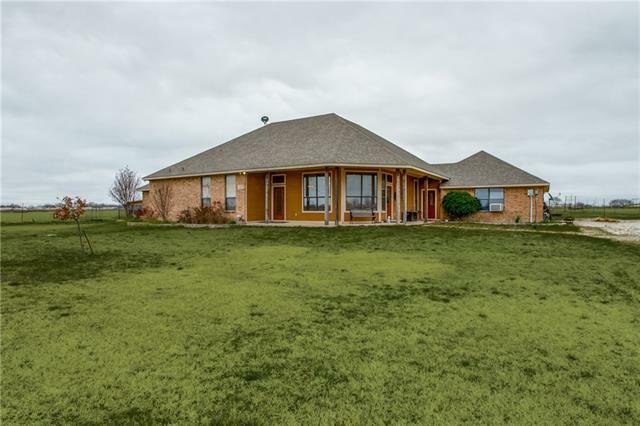 The scenic acreage has scenic rolling pastures, heavy tree lines, and a beautiful large mouth bass stocked pond. 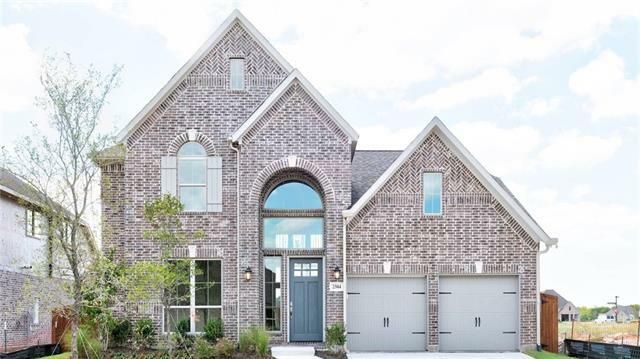 The home has too many features to list but has a stone fire place, French doors with a scenic view of the 40x16 deck that leads which leads to walking trail by the creek. The kitchen sits at the heart of the home between a formal dining room and the breakfast "
"Home and metal building on 14.195 acres. Home is well maintained and open with imitation wood floors and very high ceiling. Granite and updated showers in both baths. 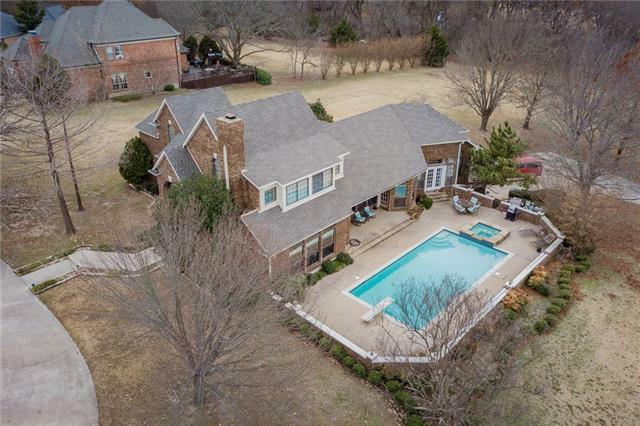 Large pecan trees, gazebo and pool. Building is 40x60 with 3 overhead doors, two are 14ft high one is 10ft high, has kithen, bedroom, full bath, washer and dryer hookup as we as a shop area and RV hookup. Prime commercial area." 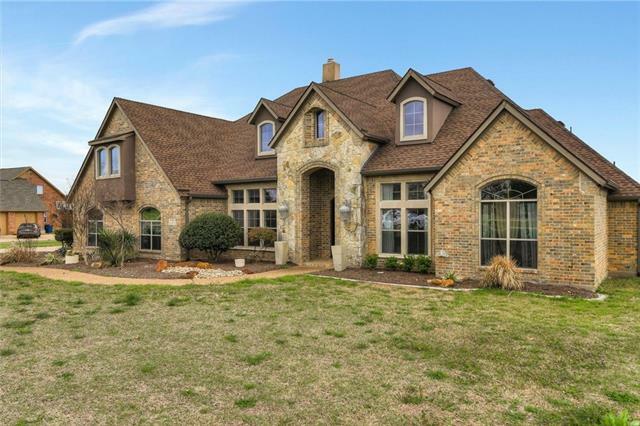 "THIS STUNNING, UNIQUE HOME IS ONE OF THE FINEST TO COME ON THE MARKET IN MELISSA! AMAZING 3 STORY HOME WITH WALKOUT BASEMENT AND BACKYARD PARADISE! MAIN LIVING AND ENTERTAINING ON FIRST LEVEL WITH OUTDOOR COVERED BALCONY, ALONG WITH MASTER SUITE AND SPA-LIKE BATH. UPSTAIRS FEATURES A LARGE GAMEROOM, 4 BEDROOMS AND 3 BATHROOMS. WALK DOWN TO THE BASEMENT TO FIND AN ADDITIONAL GAMEROOM, MEDIA ROOM, FULL BAR AND PERFECT FLEXIBLE SPACE ROOMS AND STORAGE SPACE TO MEET YOUR NEEDS! WALK OUT THE BASEMENT"
"Unbelievable opportunity in Melissa! Beautiful treed property sits on 3+ acres with barn-stable for your horses & 40x50 heated barn-shop with office, kitchen & bath currently used as a party barn-shop! Fabulous Victorian style home w-covered wraparound porch with fans on 3 sides! Wood flooring is offered thruout with tile in master bath. Gorgeous beamed wood ceiling treatment in living & dining & stone FP in living. Updated kitchen has granite & Walnut counters, farm sink & updated appliances! B"
"PERRY HOMES NEW CONSTRUCTION! Mahogany front door. Library with French doors and formal dining room, both with ceramic tile floors. Circular staircase highlights the two-story entry. Two-story family room with ceramic tile floor features a wall of windows and a corner cast stone fireplace. Kitchen features walk-in pantry and Butler's pantry. Spacious master suite with a curved wall of windows. 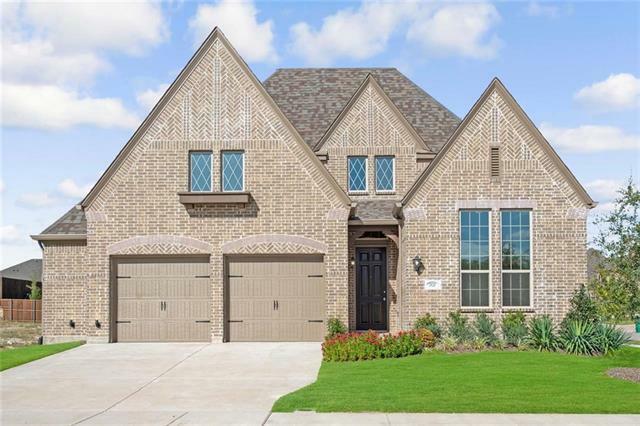 Master bath includes garden tub, separate glass-enclosed shower, dual vanities and two large walk-in cl"
"PERRY HOMES NEW CONSTRUCTION! Library with French doors and dining room frame entry with 13-foot coffered ceiling. Family room with wall of windows and 14-foot ceiling. Kitchen features island, large walk-in pantry and Butler's pantry. Game room with French doors just off the morning area. Spacious master suite. Corner garden tub, separate glass-enclosed shower, dual vanities and two walk-in closets in the master bath. Guest suite with full bath and walk-in closet. Computer area. Abundant closet"
"Country Finest Living in the city. 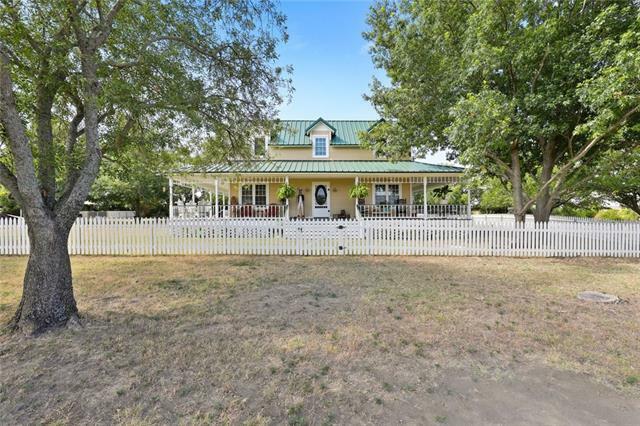 Value is in the land (5.3 ACRES) with Charming 1930s remodeled farmhouse and guest cottage. ALL NEW: HVAC, windows, roof, plumbing, appliances, light fixture & more. 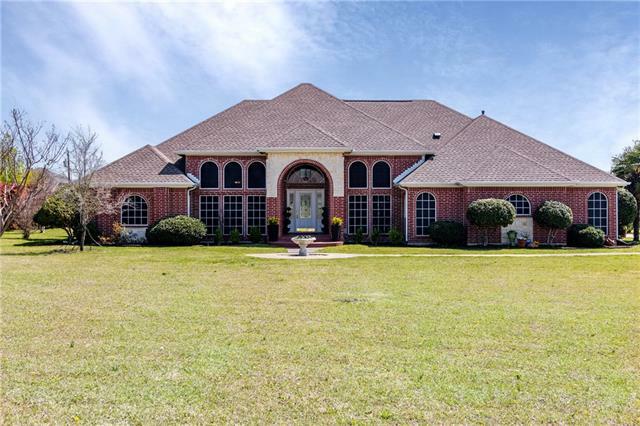 Prop starts at your gated long driveway to 5.3 acres. Bring your animals and the freedom of no HOA. Complete Remodeled home has everything: 2 living areas, Dining room, loft study or flex area. Master bedroom & bath on level 1, new wood floors, tile floors, new paint inside & out. 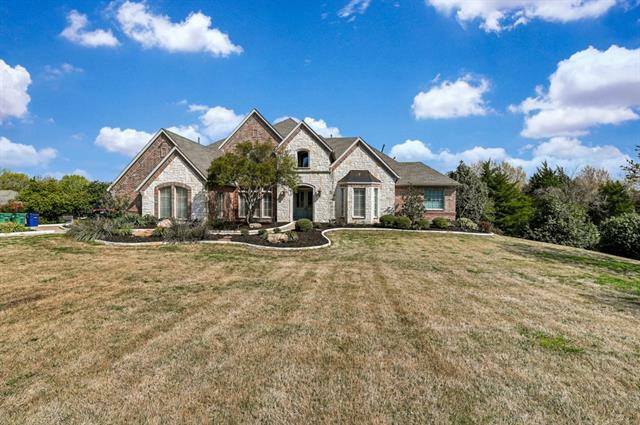 Bring the horses "
"Gorgeous 1.5 story home in gated subdivision of Country Ridge, situated on 1.2 acres, custom built, with exterior stucco and stone accents. Open floor plan, lots of windows overlooking a large wrought iron fenced salt water pool with palm trees, covered and extended patio. Bedrooms are split with all 4 on the first floor. 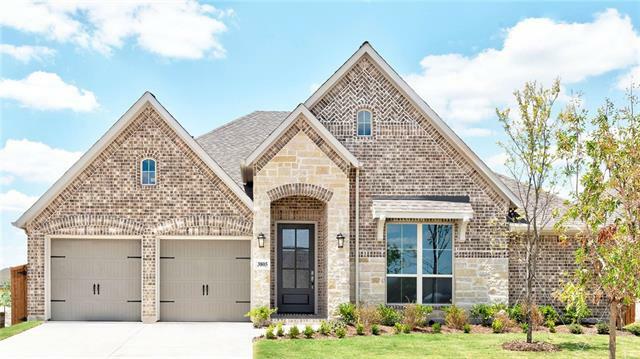 Study , great open kitchen with granite, stainless steel appliances, Austin stone wood burning fireplace, stained and scored concrete floors in living areas. Lots of crown mol"
"PERRY HOMES NEW CONSTRUCTION! Mahogany front door. Extended entry with 13-foot coffered ceiling. Library with French doors and ceramic tile floor. Formal dining room with ceramic tile floor. Open family room with ceramic tile floor features a wall of windows flows into kitchen and morning area. Kitchen features island and walk-in pantry. Game room with French doors just off morning area. Spacious master bedroom with 12-foot ceiling. Master bath includes corner garden tub, separate glass-enclosed"
"Unique opportunity set on 3.68 acres featuring a primary single story residence with nearly 2500 sqft PLUS an additional 1 bed 1 bath home with carport not accounted for in the advertised square footage. 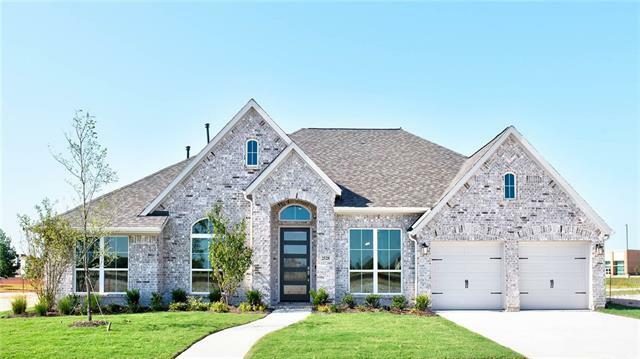 Located on a quiet street just minutes from the Highway 121 and Highway 75 interchange, this homestead easily connects you to the metroplex. Perfect for multiple generations coming together. The rear half of the property is heavily treed and would make an ideal homesite to build. Redevelopme"
"Back on the market. Contingency did not close. Looking for a 1plus acre lot with great views? THIS IS THE ONE. Enjoy a custom home, Pool with a view. Stars at night. Large Custom Rooms, Master and Guest Suite down, Two Bedrooms up with Jack and Jill Baths, Upstairs Den. Downstairs Flows well with Beautiful Wood burning Fireplace, plenty of room to entertain and a built around the view with plenty of light from windows designed to enhance the views. 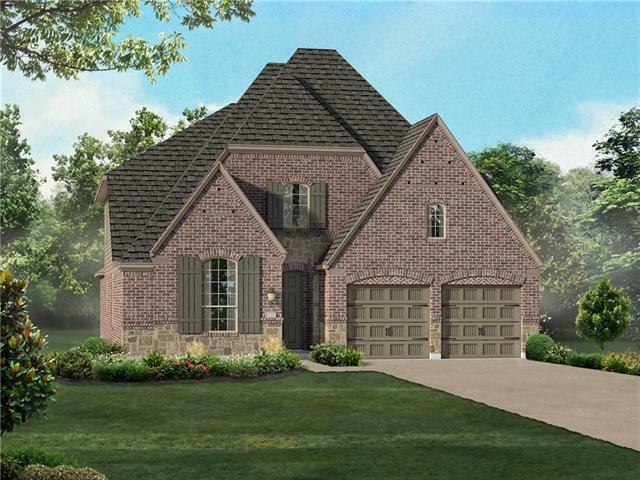 Three car garage with addition"
"PERRY HOMES NEW CONSTRUCTION! Mahogany front door. Extended entry with a 12-foot ceiling. Formal dining room and library with French doors, both with ceramic tile floor. Open family room with ceramic tile floor features a cast stone fireplace. Kitchen features island and a walk-in pantry. Spacious master suite with a wall of windows. Master bath includes garden tub, separate glass-enclosed shower, two vanities and two walk-in closets. Guest bedroom with full bath and walk-in closet. Game room ju"
"This house is ideally located in front of a new development and adjacent to the new Melissa High School. The house is complete with granite counter tops in the kitchen with cherry cabinets and custom tile back splash. Dining and living area open for easy entertaining, spacious master suite. An office as well as a craft room and laundry room add to the features. Hidden features the house is currently on propane, but all appliances have electrical access wired. The attic space is easy to convert t"
"PERRY HOMES NEW CONSTRUCTION! Mahogany front door. Extended entry with 13-foot coffered ceiling leads into family room, morning area and island kitchen. Library and dining room frame entry with 12-foot coffered ceiling and ceramic tile floor. Game room with French doors just off morning area. Spacious master suite. The master bath includes garden tub, separate glass-enclosed shower, dual sinks and two walk-in closets. Guest suite with full bath. Covered backyard patio. Three-car garage. 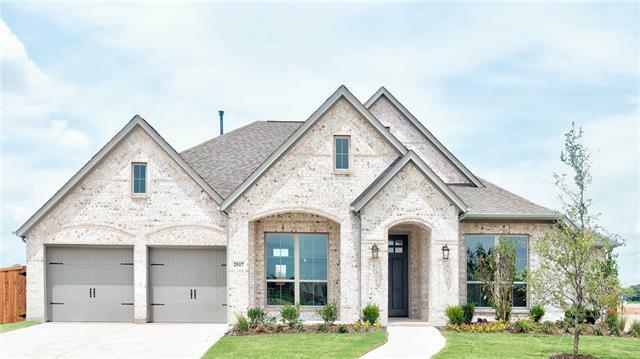 This hom"
"PERRY HOMES NEW CONSTRUCTION! Mahogany front door. Library with French doors and dining room frame the entry with 12-foot coffered ceiling. Island kitchen opens to family room, morning area and game room with French door entry. Spacious master suite with dual sinks, garden tub, separate glass-enclosed shower and walk-in closet in the master bath. Guest suite. Covered backyard patio. Three-car garage. 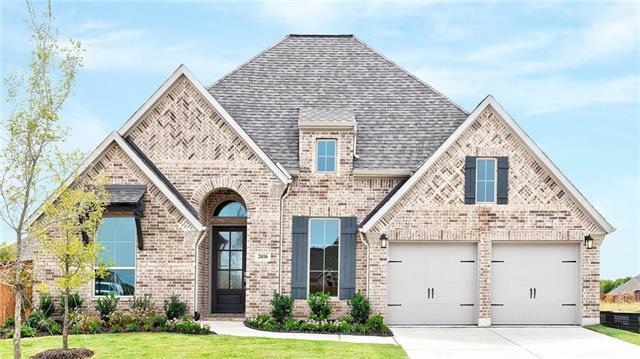 This home is in the released stages of construction as of March 27, 2019." "PERRY HOMES NEW CONSTRUCTION! Located on a corner homesite. Mahogany front door. Library with French doors set at the entry. Media room with French doors. Formal dining room with ceramic tile floor. Kitchen features a large island with built-in seating space. Family room has a wall of windows and cast stone fireplace. Private master bedroom features 13-foot ceilings and three large windows. 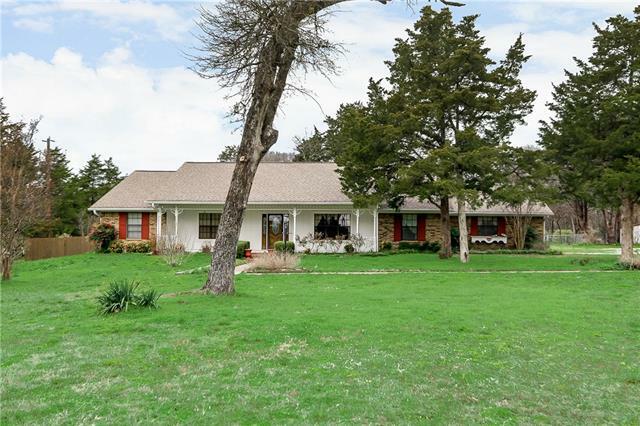 Double doors lead to master bath with dual vanities, large glass shower, a garden tub and two walk-in clos"
"Stately home on 1.6 acres in Country Ridge. Stunning entry w marble floors & grand staircase welcome you the moment you step inside. The spacious eat-in kitchen open to the breakfast room features built-in appliances, large island, breakfast bar, pantry & much more. Huge master suite on 1st flr w oversized master bath, boasts a seating area, built-in bookshelves & crown molding. Serene master bath w separate vanities, linen closet, Texas-sized jetted tub & separate shower. 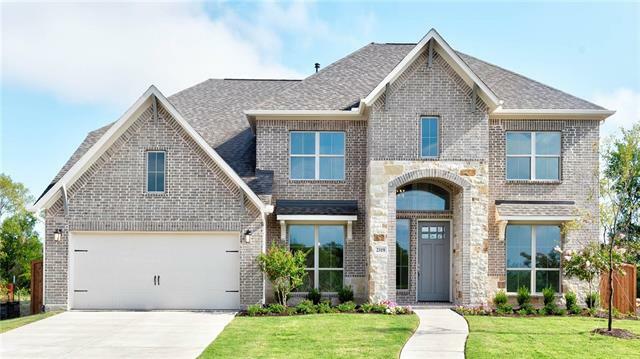 Additional large bedro"
"PERRY HOMES NEW CONSTRUCTION! Entry and extended entry with 11-foot ceiling. Game room with French doors. Kitchen features an island with built-in seating space and a walk-in pantry. Family room and dining area open to kitchen, both with walls of windows. Private master suite. Master bath with double door entry includes garden tub, separate glass-enclosed shower, dual vanity sink, two spacious walk-in closets. Two-car garage. 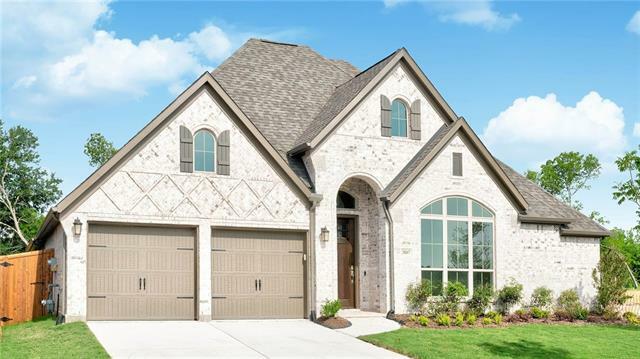 This home is in the released stages of construction as of April 3, 201"
"PERRY HOMES NEW CONSTRUCTION! Library with French doors and dining room adjacent to entry. Two-story entry and family room with a wall of windows. Kitchen opens to morning area. Master suite with 11-foot ceiling. Garden tub, separate glass-enclosed shower, dual sinks and two walk-in closets in the master bath. Second bedroom downstairs. Upstairs game room. Two-car garage. 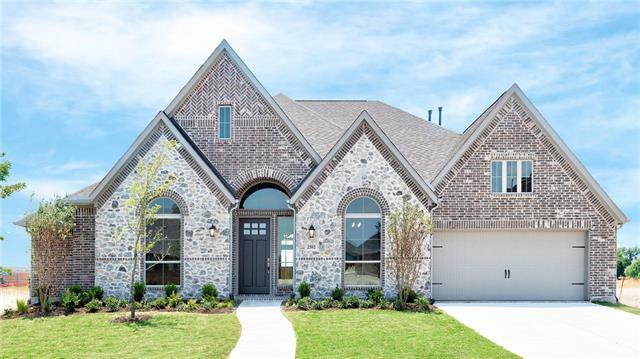 This home is in the released stages of construction as of March 29, 2019." "PERRY HOMES NEW CONSTRUCTION! Mahogany front door. Extended entry with 12-foot ceiling. Family room with ceramic tile floor features a 12-foot ceiling, wood mantel fireplace and wall of windows. Kitchen features an island with built-in seating space and walk-in pantry. Game room. Private master suite. Double door entry to master bath with dual vanities, garden tub, separate glass-enclosed shower and two walk-in closets. Mud room. Covered backyard patio. Three-car garage. This home is in the Foun"
"MLS# 14053923 - Built by Highland Homes - June completion! ~ LIGHT! Flr to ceil windows! Gameroom-Full Bth Up! Wht Cab wood wrap isld-Blt in spice cabpotpansSS appls, 5 burn CT; gooseneck; white latern matte bs-granite; Gas stn raised hrth FP; 1st flr 8 Solid Core Drs; upg mstr bth wdrop in soaker-textured marble shwr flr; custom ptd kitnk-mstr bth-study; gas stub! 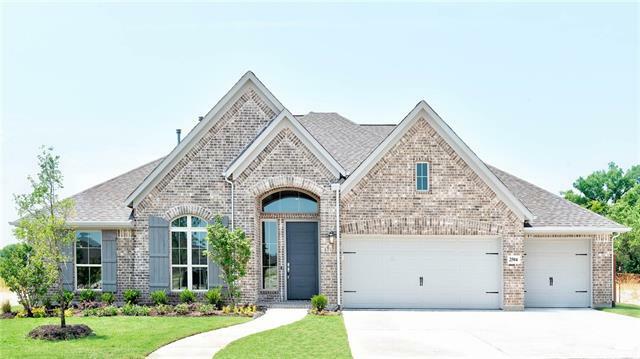 Mstr br-FR-Gameroom flt scrn ready; 6.5 wood Entrys, DR, FR, Halls, KitNook; Crpt-lvl 2-6lb pad-Uplights-8 mahog fnt dr-16See"
"Beautiful home on 1.391 acres in the exclusive private gated community. It is a 1 story with lots windows to let in the light. New granite countertops in Kitchen and utility room. 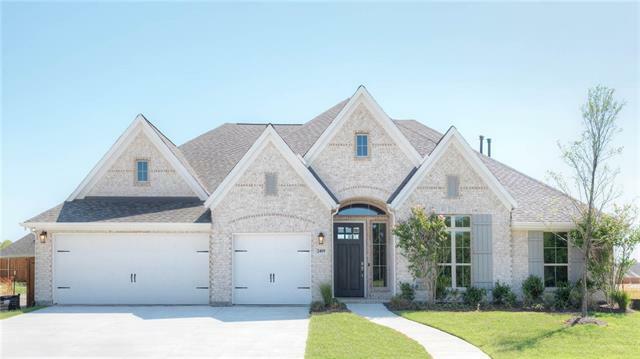 Foyer leads to French doors that open to an expansive stamped concrete patio perfect for entertaining or family gatherings, large kitchen, has abundance of counter space and open to the family room with marble fireplace and family room over looks of the acreage. 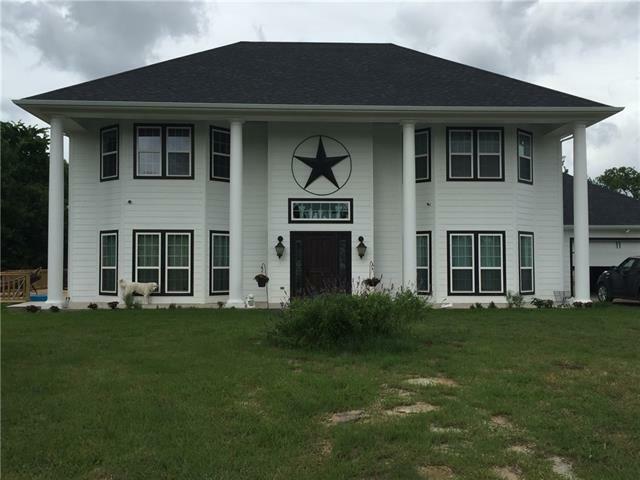 Don't miss out on this amazing country living!" "PERRY HOMES NEW CONSTRUCTION! Library with French doors set at entry. Extended entry with 12-foot coffered ceiling leads to open family room with wall of windows. Formal dining room. Game room with double doors and a walk-in storage closet. Family room flows into kitchen and morning area. Kitchen features island with built-in seating space. Spacious master suite. Master bath includes garden tub, separate glass-enclosed shower and dual sinks. Two walk-in closets and a linen closet complete the ma"
"MLS# 14053638 - Built by Highland Homes - May completion! ~ 2 Bd Dwn! Wht Kitc Cab-wood wrap isld; Bltin spice cab-potpans-SS appls, 5burn CT; Snow Elegance bs-Quartz; Gas stn FP; upg mstr bth wsoaker-marble showr flr; custom ptd Bth 2 -kitnk-mstr bth; 1st flr 8 solid drs-Spindles-Gas stub-Mstr Br-FR-Game flt scrn rdy; Wood entrys-Dr-Fr-Halls-Kitnk; Lvl 2 crpt-6lb pad-Uplights-8' mahog Dr-16 Seer Trane-Tankless-WiFi Thermo-Merv 10-2 Pools-one with 5 lap lane, Spray-Splash Park, Grill Stations"